Palestinian officials have been invited to a US conference on the Middle East hosted by Poland next week, a senior American official said on Friday, but top Palestinian officials said they would not attend. The senior administration official told reporters White House senior adviser Jared Kushner would discuss plans for peace between the Palestinians and Israelis at the event. Palestinian Authority (PA) President Mahmoud Abbas has called on the US to reverse its recognition of Jerusalem as Israel‘s capital and cuts in aid to the Palestinians, saying these had undermined efforts to reach a two-state solution to the longstanding conflict. “As noted we have asked the Palestinian Authority to send representatives to this event,” the US official said. Kushner, who is US President Donald Trump’s son-in-law, “will discuss the administration’s efforts to advance peace between Israel and the Palestinians and also take questions from the audience,” the official noted. “We would very much welcome the Palestinian Authority’s perspectives during the discussion, but I do want to emphasize this is not a negotiation but a discussion, and we look forward to fostering a constructive conversation in Warsaw,” he added. 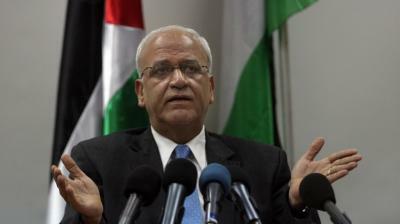 Chief PA negotiator Saeb Erekat quickly rejected the invitation, writing on Twitter: “Regarding statements that we have been invited, we can say that only today there was some contact from the Polish side. In a separate tweet, Hussein Al-Sheikh, a senior PA official, also rejected the invitation, saying only the Palestine Liberation Organization could speak on behalf of the Palestinian people. Kushner has been working on a peace plan for more than a year. The Warsaw event will be one of the first occasions where he will discuss the plan publicly, although he is not expected to reveal any details. The State Department has said more than 40 countries will attended the conference in Warsaw from Feb. 12 to 14.